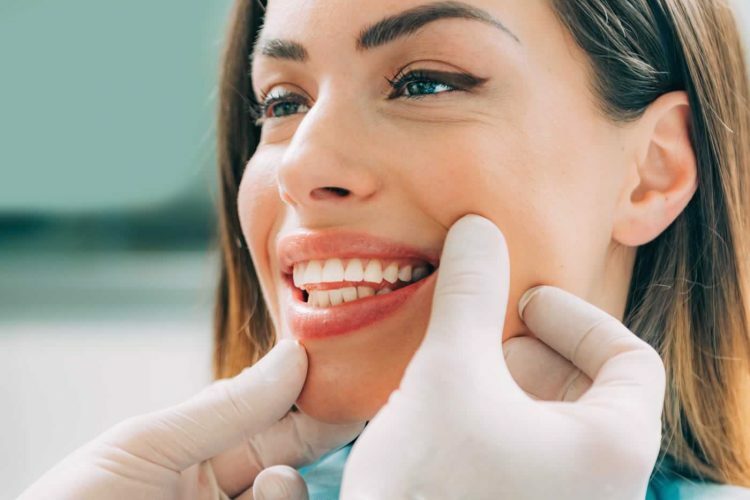 As a part of our comprehensive treatment plans, Crown Dental is proud to offer porcelain veneers to patients who are interested in a rapid smile transformation. Our dentists offer the training and expertise needed to create a natural-looking smile in just a few visits to the clinic. Even the healthiest of teeth may not be perfectly white and straight. 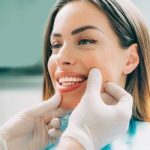 While there are options that can treat crooked teeth and whiten teeth, not every patient is a good candidate for these other dental procedures. Dental veneers are a cosmetic dental treatment that can transform a smile in just a few weeks. Feel free to smile, laugh and enjoy conversations again with a beautiful smile created by porcelain veneers. Veneers are an ultra-thin shell made from porcelain or a composite material. They are made to fit each tooth. Once each shell has bonded in place to each tooth veneers look natural and offer the same strength as a natural tooth would. There are advantages to using porcelain over the direct composite veneers but there are also some compelling reasons for patients to select the composite options. What are veneers used for? Healthy teeth may have an odd shape or colour, or there may be gaps between teeth that are otherwise not good candidates for an orthodontic solution. Cracked or chipped teeth that are not in any danger of further damage or decay can be restored to a natural look with porcelain veneers. Those who have suffered with grinding their teeth, and now face worn down teeth, can restore their smile in almost no time at all. What are the options available with dental veneers? Direct composite veneers are a budget-friendlier alternative to porcelain veneers. They are made using a combination of materials. This reduces the cost and makes them an affordable alternative to porcelain. Composite veneers are a good choice to consider if you have a small crack or chip in a tooth. They will hide the imperfections in the tooth while protecting the rest of the tooth. It is important to note that they may be cheaper, but they are not as durable as other types of veneers. This means that they will need to be replaced more often than porcelain veneers. Typically, a direct composite veneer lasts no more than 2 years. This is an important consideration if you would like maintain that pearly white smile. In our clinic, we use the VENUS PEARL and VENUS DIAMOND composite material brands. 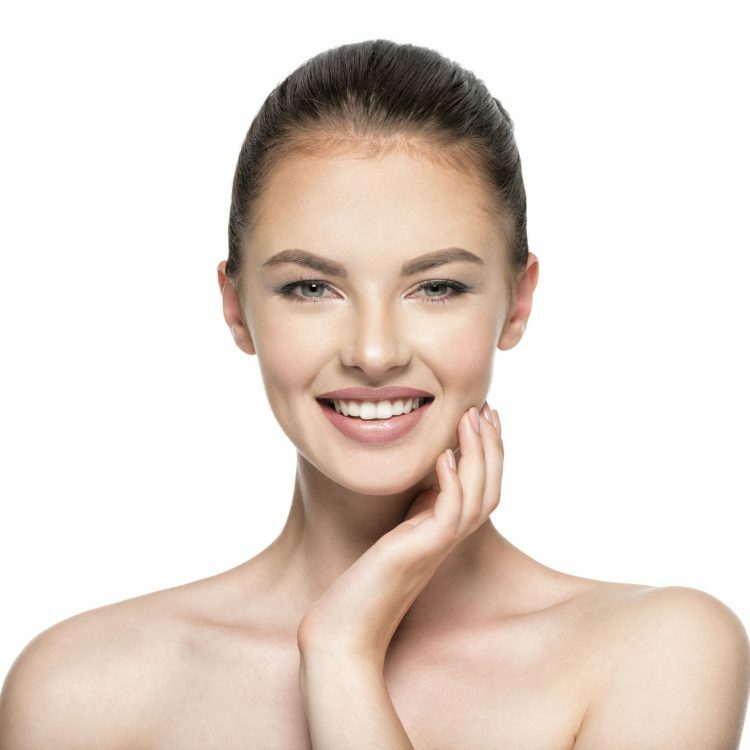 What is the veneers procedure? The veneers procedure itself is fairly straightforward. Patients typically need up to three appointments in order to get a full smile makeover. During the first consultation patients will be informed about each available option, and the treatment itself will be planned. The preparation and bonding procedures will be scheduled shortly after the initial consultation. Direct composite veneers are typically completed in just one appointment. Many patients opt to have their teeth professional cleaned prior to the veneers being bonded to their teeth. 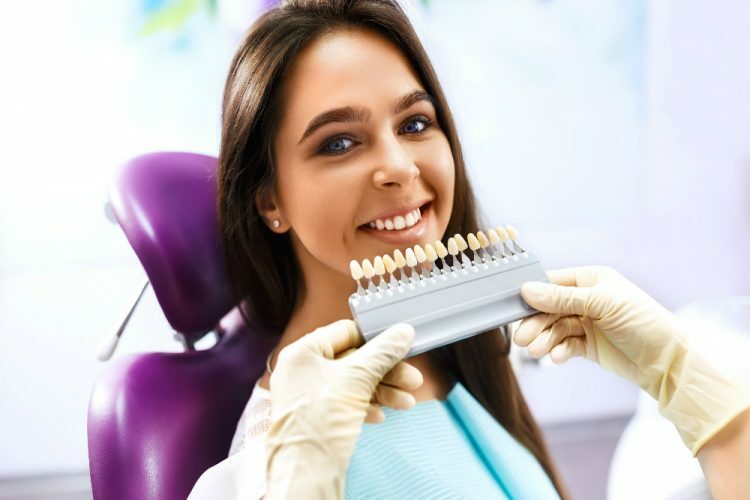 The dental veneers procedure always starts with thorough diagnostics, including digital X-rays and intra-oral and extra-oral images of your smile. These images will help to plan your veneers. It is important to note that dental veneers can only be bonded to teeth that are healthy and not in need of fillings or root canal treatments. - An impression of your teeth will be made so that a study model of your smile can be created. This model will be used to make sure that your teeth are well aligned, and the bite is correct. To prepare the teeth for the veneers, the teeth are lightly buffed to allow for the small added thickness of the veneer. Usually, about half a millimetre of the tooth is removed, which may require a local anaesthetic. 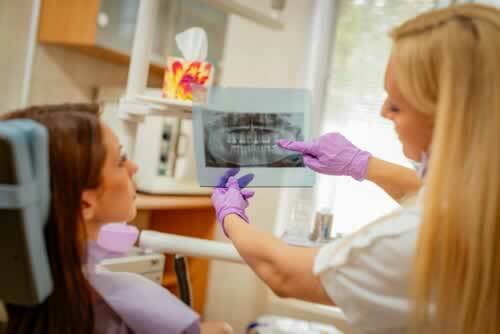 After the tooth is prepared, the dentist carefully bonds and sculpts the composite material onto your teeth. 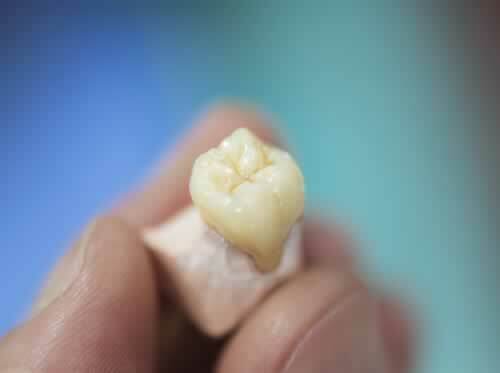 For ceramic veneers, a mould is taken of the teeth, which is sent to the laboratory for the fabrication of the veneers. - Temporary veneers will be bonded to your teeth for up to two weeks, while the veneers are being fabricated. - When your ceramic veneers are ready, the dentist places each veneer on the teeth to check their fit and get a sense of the shade or colour. Our dentists will double check the work to make sure that your veneers fit perfectly, feel comfortable and look beautiful. At this point, the colour of the veneers can still be adjusted with the shade of the cement to be used. The colour cannot be altered after veneers are cemented. You will be able to check the veneers in the mirror before fitting them permanently, to make sure that you are happy with them. - To apply the veneer, the tooth is cleansed with chemicals to ensure a bond. A dental cement is placed between the veneer and tooth, and a light beam hardens the cement. What are the advantage and disadvantages of dental veneers? Perhaps the best advantage of veneers is that they offer an almost immediate transformation of a smile that simply was not what the patient wanted. Veneers look natural once they are in place. They are designed to fit your teeth and to work with your bite. Patients will find that veneers are much less likely to become discolored and stained. They can also achieve a straightened smile without the need for braces. There are few disadvantages to dental veneers. 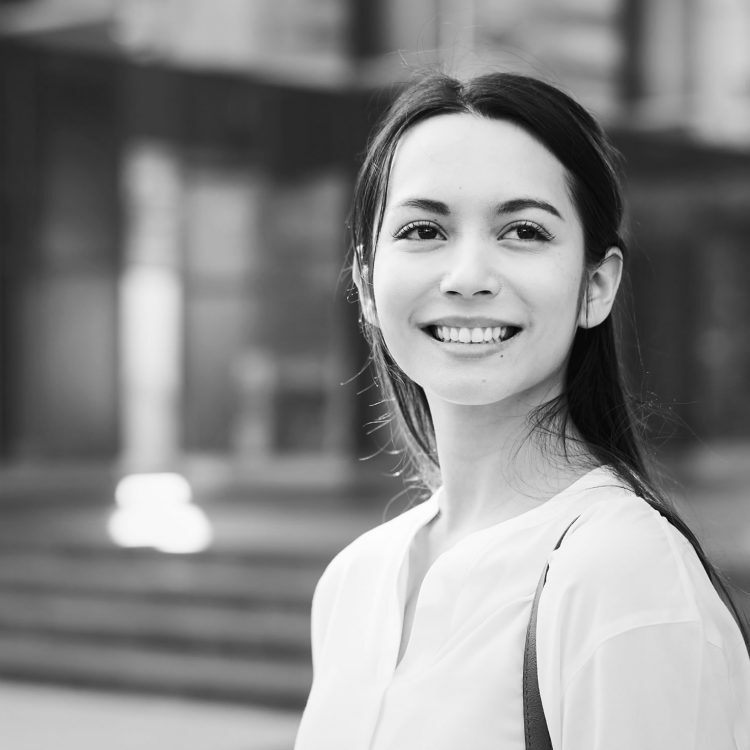 Perhaps the most compelling consideration for patients to keep in mind is that once teeth have been buffed down for placement of the veneers, that enamel cannot be replaced. Patients often find that they need to have veneers for life. As a cosmetic dental procedure, many patients are concerned about the cost of dental veneers. 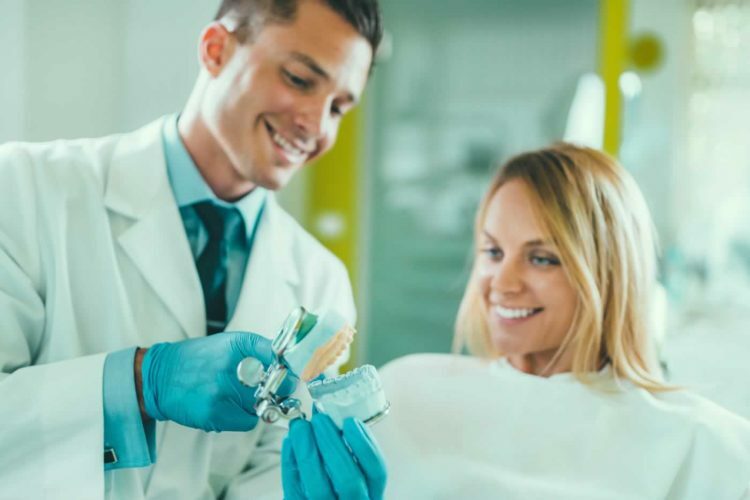 At Crown Dental we offer a great amount of experience in not only repairing a smile, but also in restoring the smiles and confidence of our patients. If you are looking for veneers in Dublin, you have found the right clinic. We offer competitive pricing plans, and offer great before and after images for our patients. 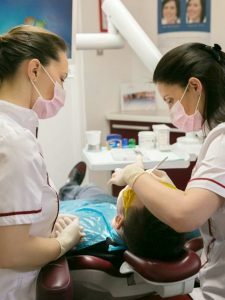 Our goal is providing our patients with the most suitable preventive , restorative and cosmetic care with some „tender loving dental care” that is functional, comfortable and long-lasting. It is very important to us to help all of our our patients to keep all of their teeth in good condition in the long term whenever possible. All our colleagues are motivated and enthusiastic about dentistry, and have a passion for their work and for the care of our patients. Both myself and my husband have been Dr Erika's patients for over a decade. Crown dental is the cleanest, most equipped dental practice I have ever been to. 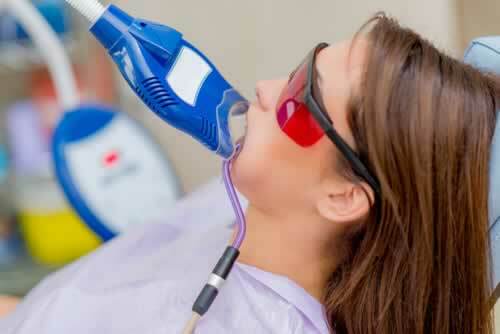 Both dentists and the nurses are highly qualified and are brilliant with nervous patients. My husband had a dental implant done here with A+ results. Their prices are highly competitive but without compromising on quality. We cannot recommend them highly enough. I was always scared of the dentist, but not anymore. I received my crowns at Crown Dental, and I couldn't be happier with the results. The treatment was pain free, the team made me at ease during the process. I can't stop smiling and showing my perfect teeth. I've been patient for over a year of Crown Dental The most equipped dental practice I've ever been, the atmosphere is excellent. Dentists and the Nurses are highly qualified . Napsugar the receptionist ,is just so friendly and helpful. You can actually forget about that you're in dentist. can not recommend them highly enough. I was always very conscious of my teeth, never showed them on pictures. It was the best decision of my life to get braces at Crown Dental. I can honestly say it changed my life. I can't stop smiling, it boosted my confidence, I feel like a different person. Thank you dr. Laura for changing my life. Myself and my family has seen Dr. Erika Barta regularly. Crown Dental helped our family in many ways, we always attend for regular check-ups and cleanings. And also got implants and bridges done by Crown Dental. The staff is very helpful and professional. The environment is very relaxed, you don't feel going to the dentist 🙂 . I always recommend the clinic to my friends. I have been attending Crown dental for many years now. I am impressed by the professionalism and high standards every time I visit Crown Dental. All treatments have been explained to me before the treatments, and the team made sure to put me at ease. I cannot thank Crown Dental enough, and would recommend them to everyone. All of our treatments and services are provided in a comfortable, spa-like clinic, designed according to high-quality standards in our clinic in Dublin 6. There are occasions where the decay or damage to a tooth may be too extensive to be treated with a simple filling, but not quite extensive enough to need the full-coverage of a crown. In these types of situations, the best option for tooth restoration may be to consider dental inlays or onlays. Teeth whitening is a chemical process that works to remove surface and deep-surface stains on teeth. Professional teeth whitening include a whitening agent that breaks down to target the stains that are causing tooth discolouration giving you a sparkling white smile. Are you ready for a brand-new smile? Get the smile that you deserve. Call our clinic today or make an appointment online.